Credit to image used in pin goes to Sumaya Kazi – Changes were made to the original image. Another diet plan that’s rapidly growing in popularity now is intermittent fasting. It’s a diet concept where you fast for a set period of time during the day—usually between 14-18 consecutive hours—and eat during the other 4-8 hours of the day, while focusing on eating healthy and nutritious food. It’s proven to help lose weight, prevent certain diseases, and improve your overall health. And to help you get started on your intermittent fasting journey, here are some great tips and tricks that’ll help you stick to weight loss goals. These are ideas that are all easy to implement, have impressive results, and will make your diet plan easier. So check them out and let me know what you think! After fasting for 16 hours, don’t let yourself think that you can now eat anything you want. Rather, focus on eating whole foods that’ll fill up your body with the essentials vitamins and nutrition you need. This will boost your energy and balance your hormones throughout the whole fasting period. Ditch the diet soda, energy drinks, and other flavored beverages that say they’re low in sugar. They actually have a lot of artificial sweeteners that are horrible for your health. They use things like Splenda or Sweet & Low which stimulate your appetite and cause you to overeat. One of the most important factors in any diet plan is to make sure your body is well hydrated. By simply drinking a glass of water before each meal, the water will suppress your appetite and make you feel fuller sooner (so you can avoid overeating). Also, try adding some fresh fruit and herbs to your water for a detoxifying drink. It’s tasty and totally healthy. Whenever possible, during the fasting hours, make sure you’re being busy and productive. Try taking a walk in the park, write in your journal, run some errands, or read your favorite book. These are just simple tricks that’ll distract you from thinking about food. Sleep is a vital indicator of your overall health and well-being. It helps repair your body and lose weight. And the reason for this is because our bodies burn calories while performing certain functions while sleeping and which also boosts your metabolism. Stress can trigger overeating which makes intermittent fasting seem nearly impossible to maintain. When you’re influenced by stress and lack of good sleep, you’ll tend to focus on eating unhealthy food to make yourself feel better. So learn to control your stress while on this diet. While on the intermittent fasting diet, always be true to yourself and disciplined. 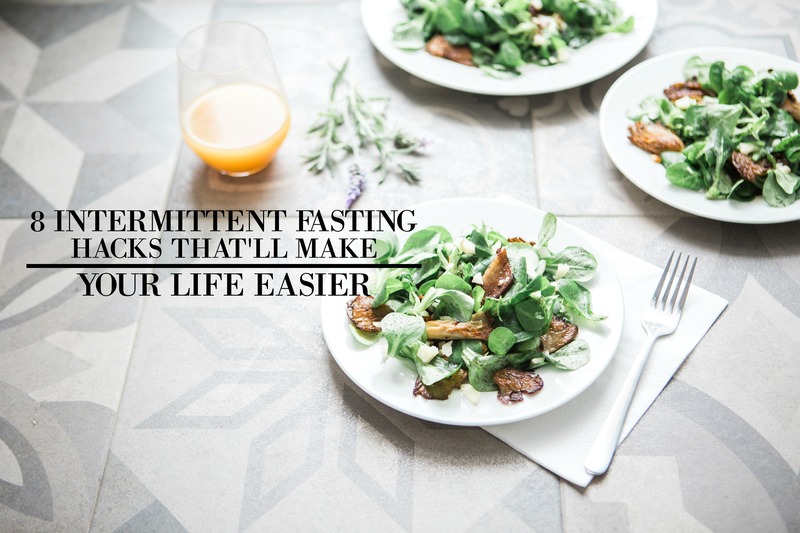 By simply not eating any food during the fasting hours, this will help you make sure you’re losing weight at the speed you want. Lastly, after applying all of these tips, do yourself a favor and exercise. There’s no need to enroll in a gym membership, there are plenty of workouts that can be done in the comfort of your home. They’ll boost your energy, improve your muscle strength and endurance, and help your body burn fat fast. Doing intermittent fasting shouldn’t be hard or complicated. There are always plenty of tips and hacks, like the ten ideas from above that’ll definitely help you out so much. Plus, they’re all easy to implement and have great results. So give the diet a try and let me know what you think! Now, If you have something to add to these intermittent fasting hacks, comment down below. I might just add them to the list!